Worldwide, there is great attention to Nordic educational architecture and Danish pedagogy. Such as how school buildings are used as public cultural houses, and the transition towards teaching based on the understanding of 21st Century Skills. The working process included storytelling and we have integrated several fairy tales from H.C Andersen, who was a famous Danish author. 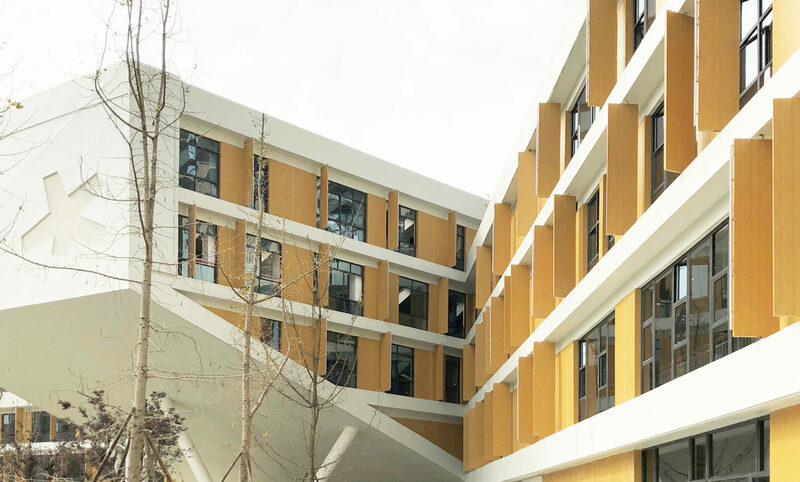 The new international primary school in Hi-Tech Zone, Chengdu, represents a unique merge between Nordic architecture, Danish pedagogy and Chinese culture and traditions. 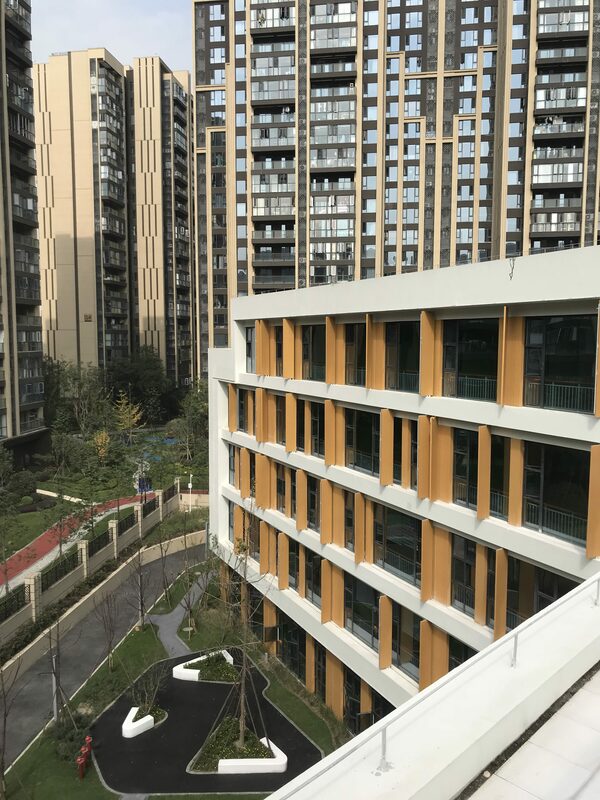 It is located in a brand-new district and as a part of Chengdu Century Park. The significant star-shaped building will become an international landmark for the area. Horsens International Primary school is built in an attractive neighborhood next to 2000 high-end residents. RUM has designed the new primary school in a joint consultancy with Horsens Architects. The assignment was founded in a sister city alliance between Chengdu and Horsens, Denmark. 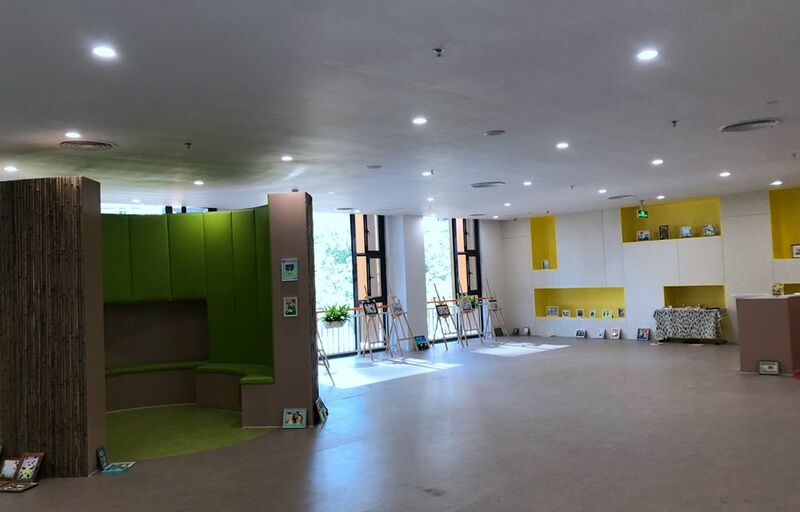 As part of the design process, RUM gave several talks about trends for Danish learning spaces and we visited several newer schools in Chengdu. As part of the design process, RUM organized user involvement through mini-workshops with participants of various stakeholders. 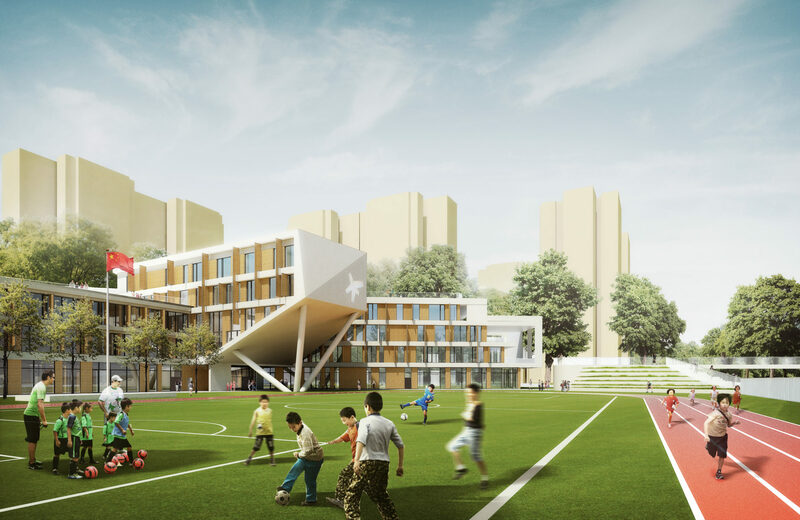 This close collaboration grew into a visionary and experimental project showing a new and open school and kindergarden with a high level of transparency, diverse learning environments and strong links to the surrounding community. 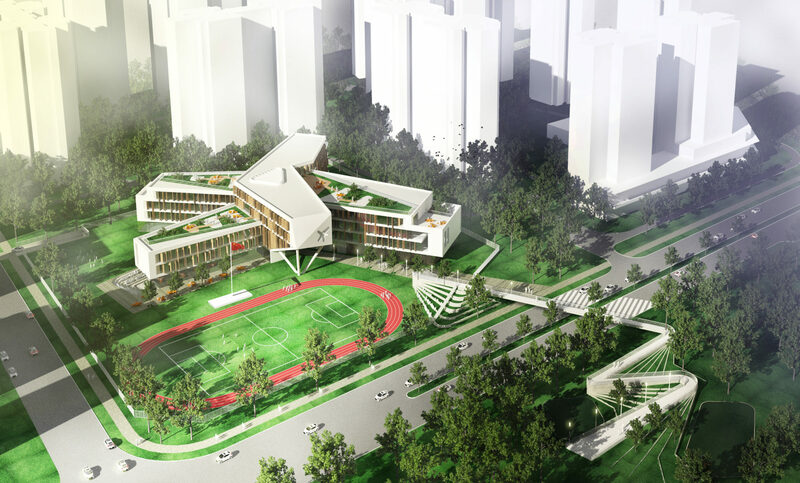 RUM have also, in cooperation with Horsens Architects, designed a new kindergarden in Chengdu. The kindergarten is built in the same region and is designed as the “little sister” to Chengdu Horsens Primary School. Read more about Chengdu Horsens Kindergarden.